These sleek banners look like something from a science fiction movie. They're filled with bright lens flairs and space-age design elements for captivating results. 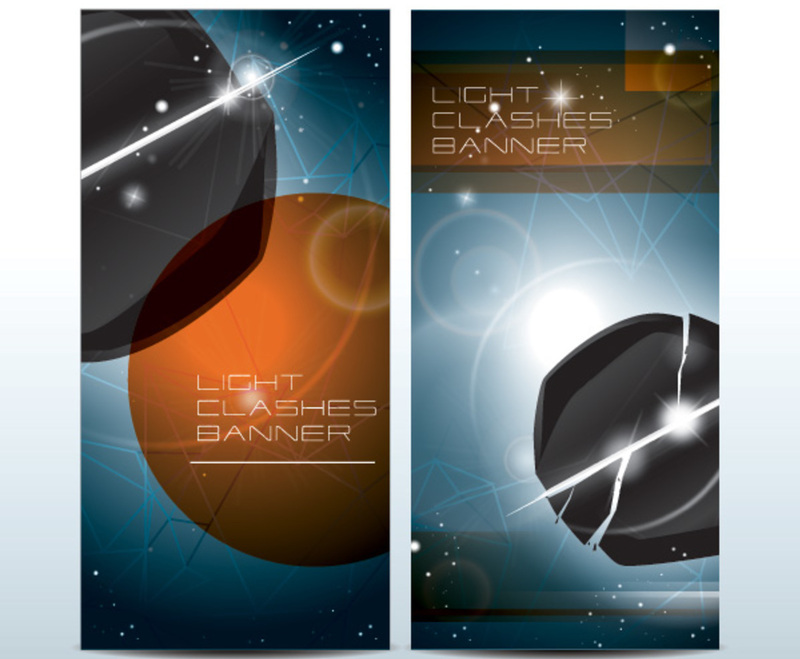 The banners feature geometric planetary bodies clashing with one another while an unseen light source provides illumination. In the first image, a black asteroid is about to crash into an orange planet; the second banner shows the asteroid breaking apart. Stars shine in the background, and the blue background turns darker at the edges. These graphics are powerfully futuristic, and the geometric designs that run across the surface of each image creates a compelling modern look.